It's a rare year when my best-of list starts at 25 records and I have to whittle that down to 10. Typically, there aren't that many records that stick with me, and there have been years where I had to dig and include a few I wasn't really pumped about to get to 10. But metal fans have been pretty lucky in the last couple of years, and this year, at least for me, ended up being a banner year. There were no big blockbuster records that blew me away, but just a heaping helping of good, solid albums. There was a resurgence of the kind of metal I grew up on with retro acts like White Wizzard and Holy Grail that captured my attention. There were some long-awaited returns to form from old favorites like Fear Factory, Danzig, Flotsam and Jetsam and Ratt. There was even a fantastic out-of-the-blue comeback from Accept. Some other old favorites like Death Angel and Exodus just kept on doing what they do. As with any year, 2010 was not without disappointments. 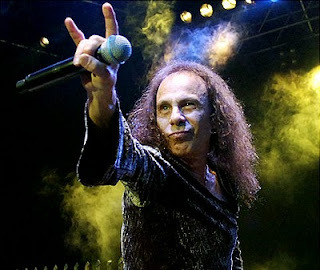 The biggest of those, without a doubt, has to be the loss of a true legend, Ronnie James Dio. The man was not only one of the greatest voices to ever take a metal stage, he was also one of the genuinely good guys in the music business. It's a loss not only to the metal and musical community, but to the world in general. -- Ozzy Osbourne, "Scream." I don't know if I can consider an Ozzy record a disappointment anymore because I don't expect much. This one delivered exactly what I expected. -- Iron Maiden, "The Final Frontier." It still sounds dead and lifeless to me. 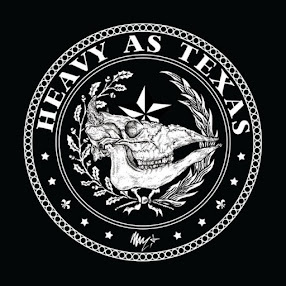 -- Joey Belladonna returns to Anthrax ... again, and brings down one of the coolest events of the year (or really, ever, in metal) by not knowing the words and mumbling incoherently when it was his turn to sing on the Big 4's jam of Diamondhead's "Am I Evil?" -- After releasing one of my favorite records of the year, White Wizzard shuffles members again, losing vocalist Wyatt Anderson and replacing him with a guy that really wants to be Bruce Dickinson but doesn't have the chops.